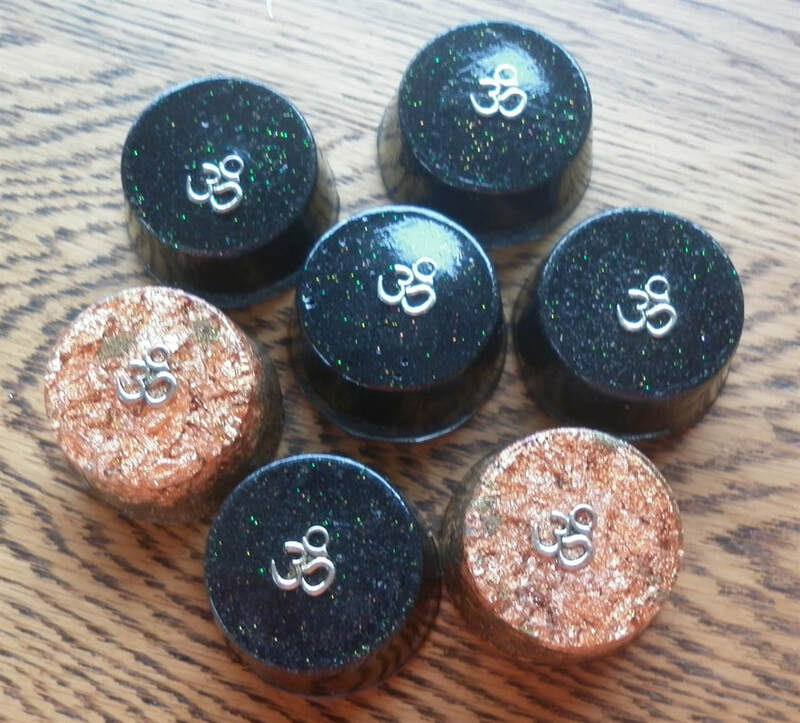 "Orgonite is a substance made of resin, metals and quartz that balances and harmonises bio-energy, otherwise known as orgone, chi or prana. 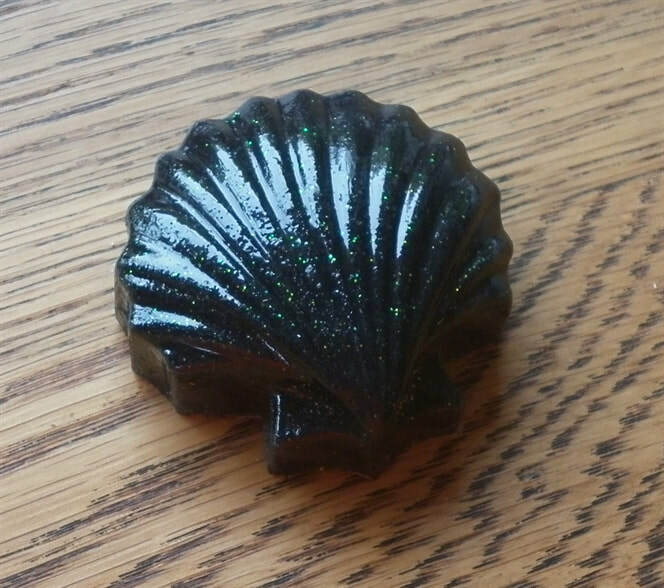 Dr Wilhelm Reich, an Austrian psychiatrist, researhed orgone energy in the earlier half of the 20th century, and today's orgonite devices are built on his findings. 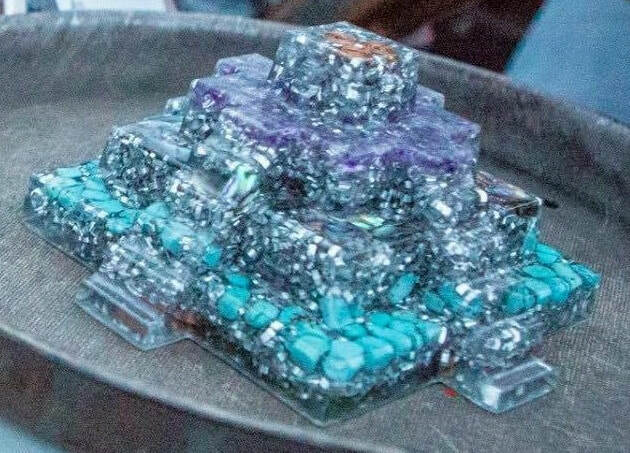 While conducting his research, Dr Reich found that organic materials attract and hold orgone energy, while non-organic metals simultaneously attract and repel the energy. 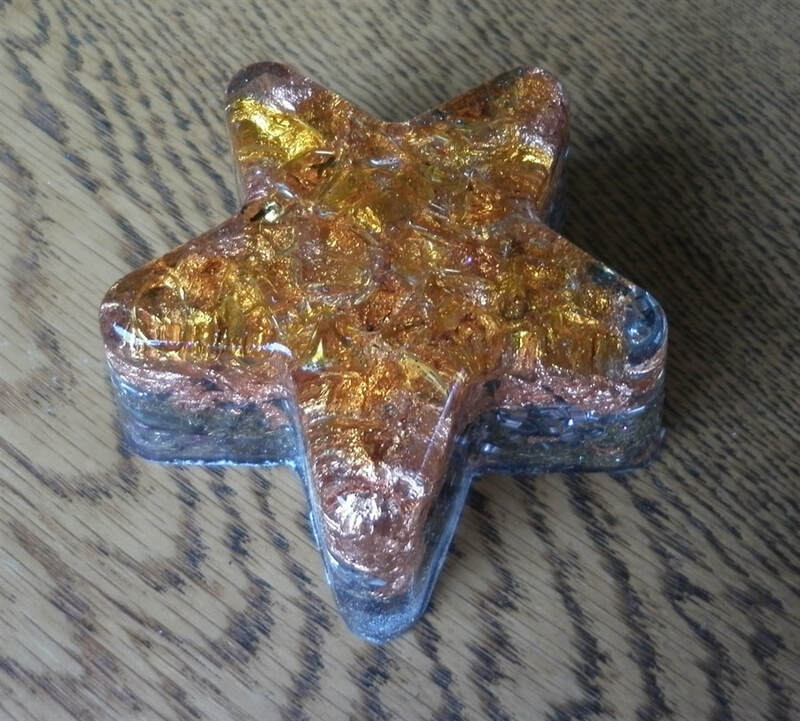 Copper one contain - silver plated aum, copper leaf, double terminated herkimer diamond in copper spiral in brass shavings. Black one contain - silver plated aum, double terminated herkimer diamond in copper spiral in 50/50 blend of pure iron sand collected with a magnet and silica sand. 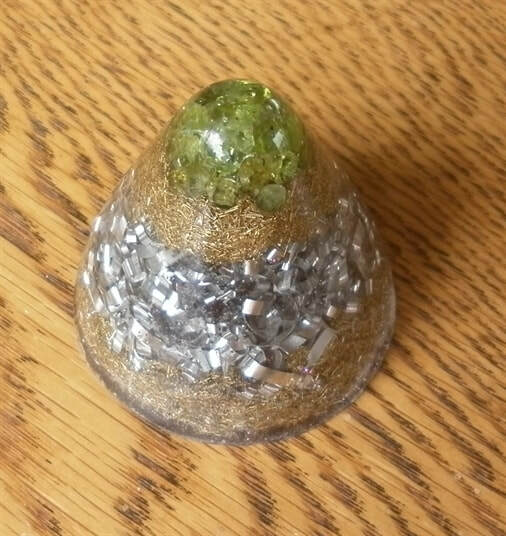 Peridot, double terminated quartz crystal in copper spiral inside aluminium and brass shavings. Underneath - silver plated aum and paua shell. 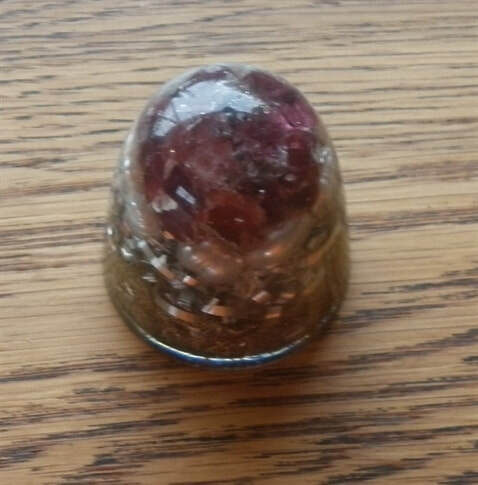 Garnet, fresh water pearls, vertically pointing double terminated quartz crystal in copper spiral in aluminium and brass shavings. Underneath - silver plated aum. 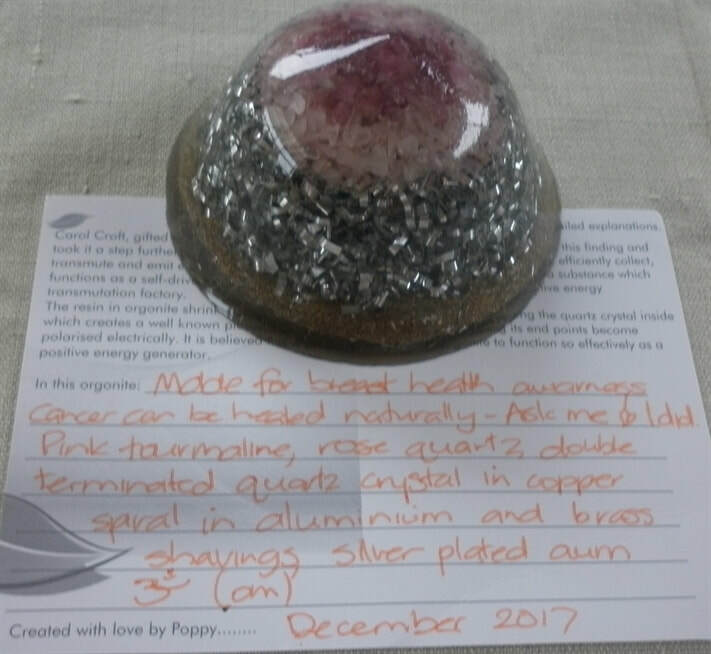 Pink tourmaline/rose quartz breast health awareness $55NZ value plus postage and packing. A celebration of natural healing from breast cancer. Made with copper sacred geometry, amethyst, New Zealand paua (abalone shell), turquoise, vertically placed double terminated quartz in copper spiral, plus four double terminated quartz crystals place horizontally in the four directions near the base, aluminium shavings in the the metal/resin matrix. Malachite hearts have malachite, double terminated herkimer diamond in copper spiral inside brass shavings, silver plated aum on the bottom. Chrysocolla hearts have chrysocolla, double terminated quartz crystal in copper spiral inside brass shavings, silver plated aum on the bottom. 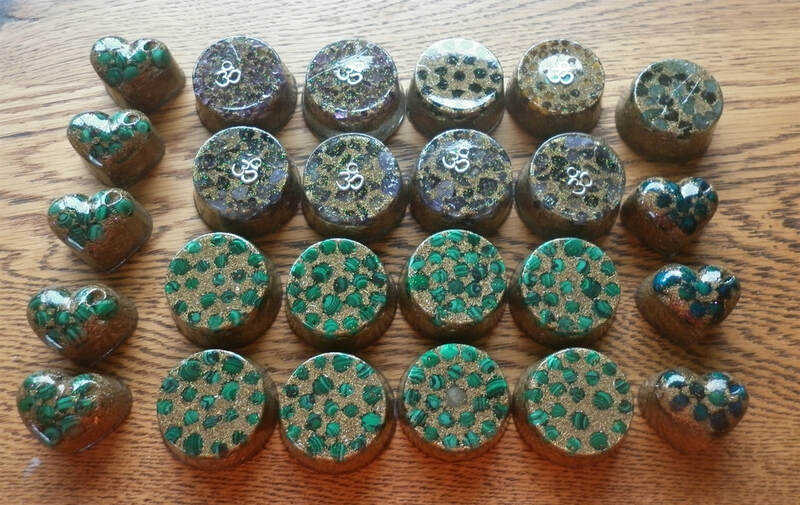 ​Third and fourth row - Malachite. The second from the bottom has labodorite in the centre.